When she was just 2 weeks old, Janice Marie Collins (’86) made the first of several moves that would come with life as a military brat. Her father, a lieutenant colonel in the Army, was transferred from her birthplace in Oklahoma to Germany, then ultimately to Kentucky, Virginia and Germany — again. For the first 13 years of her life, she moved about every year-and-a-half, an experience that she says strengthened her family and heightened her belief in diversity, leadership, adaptability and service. "I had to believe in myself and have faith." Her parents — mother was her first philosopher and father had teaching in his genes — raised their children to be intellectually curious and physically active. They were expected to read the newspaper every day and learn a second language. Her mother emphasized academics and social etiquette. Her dad was a sports addict who taught her that women could be great athletes and still be respected as women. From her older brother she learned to play soccer, softball and basketball; with coaching from an aunt on Virginia’s Eastern Shore she mastered a fierce hook shot — the target being a straw basket hanging from a barn in the backyard. Through her aunt and uncle, Barbara Eure and retired Professor of Biology Herman Eure (Ph.D. ’74), she met Dr. Maya Angelou and became acquainted with Wake Forest. So when the basketball scholarship offers poured in, she narrowed her choices to West Point and Wake Forest — and the latter prevailed. Collins, a 5-foot-9-inch guard/forward on the 1983-86 women’s basketball team, had a vertical jump described as “out of this world” and played in 109 career games with 80 starts, amassing 992 points, 548 rebounds, 186 assists and 146 steals. 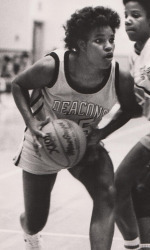 A four-year letter-winner and Wake’s first All-ACC honoree, she was named to the second team in 1985. That season, as a junior, she led the team in field goal percentage (.507) while averaging 12.7 points and 6.3 rebounds per game. 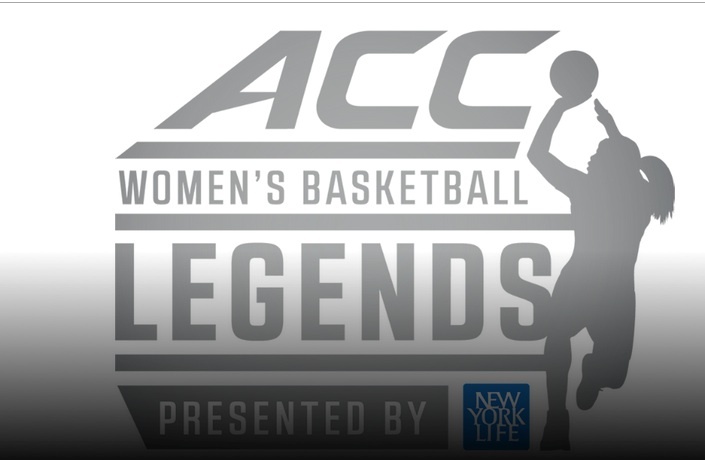 She will be inducted into the 2015 class of ACC Tournament Legends on March 7. As a student-athlete she learned to balance academics and sports. “It’s very difficult and can be difficult for the best student,” says Collins, who graduated in 1986 with a degree in communication and theatre arts. Today she is an award-winning journalist and professor on the faculty at the University of Illinois College of Media in Champaign, where she teaches media storytelling, leadership development and communication and media theory. “You don’t have the luxury of saying ‘I don’t want to go to work today.’ ” While at Wake she was active in Spanish House activities and was a peer counselor first in student development and then in the office of minority affairs; she also volunteered off campus to help young girls facing challenges. In addition to her uncle, trusted counselor Herman Eure, Collins counts among Wake Forest mentors her coaches, Wanda Briley, Lori Bailey and Joe Sanchez, who insisted on study hall every night on the road. 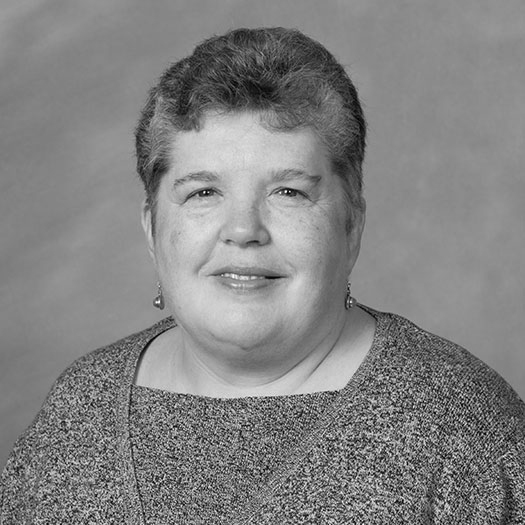 “I was proud of my team; we could play ball but we were smart, too.” The late Professor of English Dolly McPherson challenged her to be a better writer with every assignment. “A lot of professors helped me academically and when it came to life,” she says. Her high school coach, Jesse Pope, helped make her the player who is going to be honored in March. “She trained me, challenged me and supported me in my development as not only a formidable basketball player, but she assisted in my development as a team player, a good citizen, a good student and good person,” Collins says. After graduating from Wake Forest she taught journalism at Hampton University before earning two advanced degrees from Ohio University — a master’s from the E.W. Scripps School of Journalism in 2005, followed by a doctorate in communications in 2009. Collins has multiple Emmy, Best of Gannett, Associated Press and other honors for writing, editing, producing, reporting and video journalism. She’s been an anchor, news and sports reporter, photographer, backpack journalist and producer, among other things, and has covered the Olympics, Super Bowl and Oklahoma City bombings. 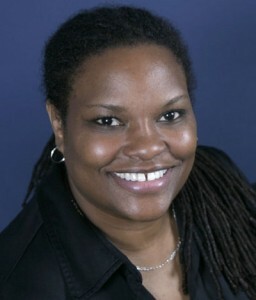 She’s also received recognition for her teaching, having been named among the Top 50 journalism faculty in the country by journalismdegree.org. Last year she visited Sierra Leone, West Africa, to gather footage for a documentary and book project on de-marginalization and her African ancestry to the Mende tribe. Additionally she is a motivational speaker and life coach helping people find their true sense of self and purpose. Her first book, “250 Years: Still a Slave, Breaking Free with Active Centralized Empowerment: A New Way of Thinking and Performing,” is underway, and she has a blog, “Theoretical Tea and Company,” designed to facilitate intellectual stimulation and discussion on a platform of mutual respect. When Collins is introduced to the Greensboro Coliseum crowd on March 7, she’ll be remembering the legends in her own life — first and foremost her parents, who instilled in her a strong faith and taught her to talk within her ability without apology about her race and gender. She’ll recall mentors who modeled pride and integrity as well as former teammates committed to excellence on and off the court.